Are you sure you’re brushing your teeth properly? How clean is your mouth every morning, noon, and night? Brushing your teeth when you wake up and before you go to bed is habit. What might not be habit is how well you brush your teeth. It’s easy to fall into the trap of not brushing in the right way. You might not spend enough time brushing your teeth. You might not hit all the right areas. You might not even have the right toothbrush in hand to clean your teeth. To help you get reacquainted with proper tooth brushing technique between dentist visits, here are a few tips on how to brush your teeth properly. Start with the right products. Even the best dentists and hygienists can’t get perfectly clean teeth without the right tool in hand. Make sure you have the right toothbrush to fit your mouth and teeth. The American Dental Association (ADA) recommends using soft bristles over hard bristles. Although you might feel like you’re scrubbing your teeth well with harder bristles, you could be damaging your gums in the process. This can cause gum disease and infection if you’re not careful. Toothpaste is also an important consideration. 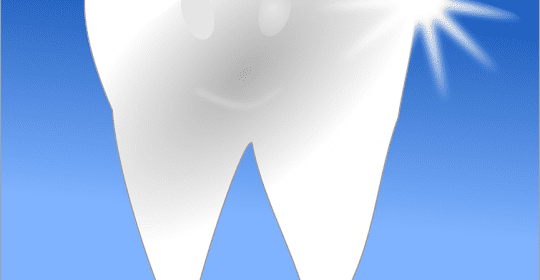 Be careful about using toothpaste with too much whitener. This can cause more harm than good. Instead, choose toothpaste that controls tartar buildup and flouride. You should brush your teeth for a minimum of two minutes. This is long enough to scrub your teeth of plaque and tartar. Any less than that and you could be letting food particles linger between or on your teeth. Many people think they’re brushing their teeth for two minutes but in reality, they’re brushing their teeth for about half that time. Set your timer so that you’re sure you get the full two minutes of brushing in each morning and night. If that’s hard to remember, try using an electronic toothbrush with an automatic timer. Don’t brush for too long. On the flipside, brushing for too long can cause problems too. Some people try to brush for an extra amount of time before coming to the dentist. Not only is that ineffective but it can also cause problems. If you brush for longer than two minutes you risk having sore gums and more plaque buildup. Go easy on yourself and stop after only a few minutes of brushing. Keep it all in the wrist. Once you have the right device and the right timing, you need to use good technique. Open your mouth wide and turn your toothbrush at a 45-degree angle. Brush your teeth up and down instead of side to side to avoid scraping and scratching your gums. Don’t push too hard or use too big of strokes. Keep it gentle and quick. There’s no right or wrong start point. In fact, changing up where you start can help you avoid falling into bad habits while you brush. With that said, it is a good idea to always start at the back of your mouth and move inward. End with brushing your tongue. When you’re done, rinse your mouth out with water. Just spitting out your toothpaste in the sink is not enough. That can cause germs to linger and spread. Repeat this process after your next meal or a maximum of three times per day. More than that and you’re overdoing it. See? Brushing your teeth properly isn’t that hard. Use these friendly reminders to keep your teeth sparkling white and bright in between visits to our dental office.